Bring mindfulness into your every day and raise money for those in need. If you’re looking for some stillness in your life and also wish to make a difference, then it’s time you met Elise Bialylew, a doctor trained in psychiatry and psychotherapy, and learn about her campaign Mindful in May. While many of us in the developed world exist in a stressed, overcommitted and overwhelmed state, those in the developing world are content and connected yet struggling day-to-day to have their most basic needs met. “I travelled through West Africa many years ago and during that time I was deeply impacted by the extreme levels of poverty, people dying of treatable diseases often caused by water-related illness and often struggling each day to meet their most basic survival needs of food, water and health. I lived in a shanty town with a family who had the bare minimum, yet they would always offer me food and take care of my needs, often before their own. I was truly amazed by this spirit of generosity amidst absolute poverty,” reflects Elise. To help bring the two worlds together, Elise embarked on a mission to teach people in the developed world how to meditate while at the same time providing support to those in the developing world to improve their access to clean and safe drinking water. Mindfulness offers greater focus, clarity and wisdom in how you respond to life’s circumstances, while clean water enables one of life’s most basic needs to be met. This is how Mindful in May was born. So just what does Mindful in May involve? “It’s a one month global, online meditation challenge that brings the benefits of meditation together with an opportunity to contribute to a global cause,” explains Elise. The meditation content, which includes weekly audio meditation downloads and exclusive interviews with leading global experts, is delivered to your inbox daily making it a perfect fit for those of us who are time poor. “The idea is that while you learn to meditate and be mindful, your donation and fundraising will ripple across the world to help improve the lives of the one in nine people on the plant who live without access to clean, safe drinking water,” adds Elise. This truly inspiring concept is taking registrations until tomorrow May 10th. Visit www.mindfulinmay.org and pause for a cause. Tune in to your breath: It may sound like an irritating cliche, but there is scientific rationale for this advice. The breath is not only a powerful indicator of one’s state of mind, but also a helpful modulator. 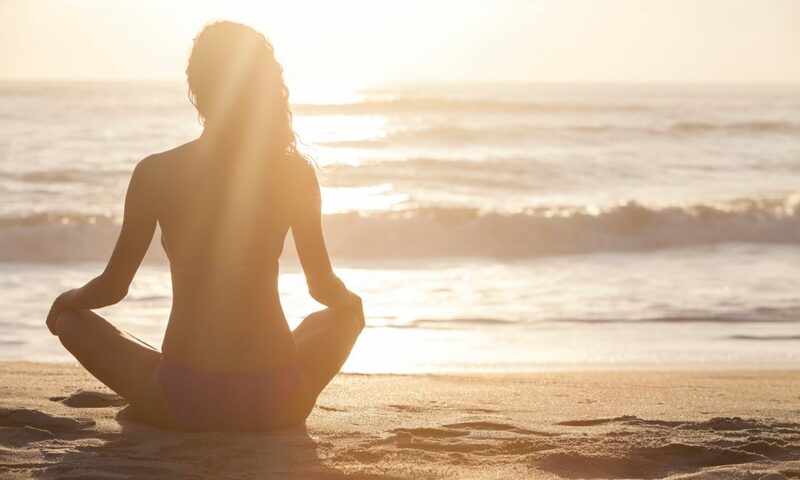 Take a few moments out of your busy day to consciously tune into your breath. Slowing down the exhalation helps to trigger the relaxation response, calming down the body and helping you to think more clearly. Use your surroundings as a circuit breaker: Take moments in the day to disconnect from the flurry of to-do lists and direct your attention externally by tuning in to your senses. Listen to the sounds in the room, feel and see the space you are in, and notice the temperature and smells. By tuning into your senses, just for a few moments, you give your mind a micro break from the stress of thinking. Use technology with awareness: Sitting at a computer all day? Bring awareness to your posture and breath. It has been noted that email apnea, the temporary suspension of breathing while on email, means we are inadvertently creating stress in the body. Check in with your body and breath whilst working at the computer to ensure you are getting sufficient oxygen. Simplify your to-do list: Bring attention to the top three priorities of your day. Break your work time into smaller blocks for higher levels of efficiency, and take short breaks between blocks. Use your lunch break as a mindful practice: Rather than eating whilst sitting at your computer or missing out on lunch altogether, use your lunch as a way of practicing mindfulness. This means bringing awareness to your chewing and intentionally tasting your food. This pause gives your mind an opportunity to rest from the whirlwind of the day, allowing space for mind and body rejuvenation.